The foresters presently involved with The Forest Partnership manage over 250,000 acres of forestland owned by 1,800 landowners. 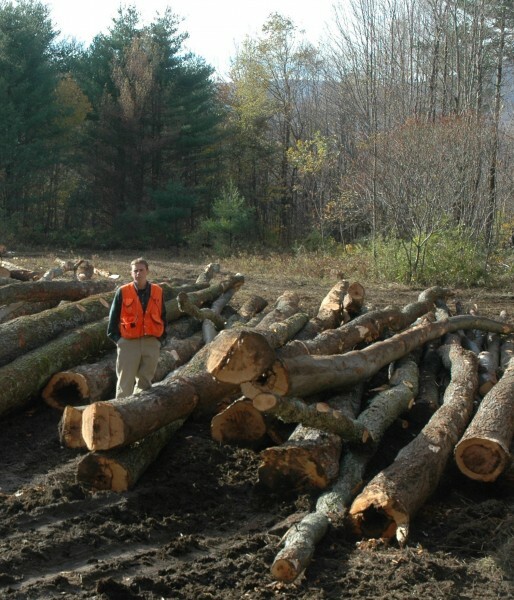 Each year millions of board feet of logs are harvested from these lands, as well a pulpwood for paper production, firewood logs, and low grade material used for making biomass chips for heating. The harvests are planned in advance, based on good information gathered by trained professionals, and are scheduled in the absence of market pressure. The trees harvested, and the resulting forest products, represent what the forest can sustainably yield. The forests of Vermont and the surrounding states are highly diverse, and our woodbasket includes hardwoods such as maple, ash, birch, cherry, and beech; softwoods such as pine, spruce hemlock, and fir. Blessed by this diversity, we offer wood users many options as they consider what local or third-part certified materials they would like to use in their work.